Cindy Padnos is co-founder and Managing Partner of Illuminate Ventures. 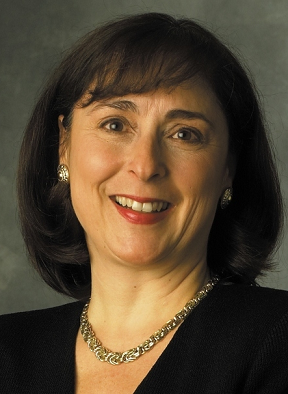 Named one of the Most Influential Women in Technology by Fast Company and one of the Most Influential Women in Silicon Valley by the New York Times, Padnos' prior high tech career includes operating executive positions at Scopus (IPO now part of Oracle) and Acumen, senior management positions at IDE, Ingres, and AT&T and stints as a management consultant. She was also the founder and CEO of Vivant (also now part of Oracle), one of the earliest on-demand/SaaS companies. Ms. Padnos has been an active member of the venture capital community since 2002 Prior to founding Illuminate Ventures was on the investment team at Outlook Ventures. 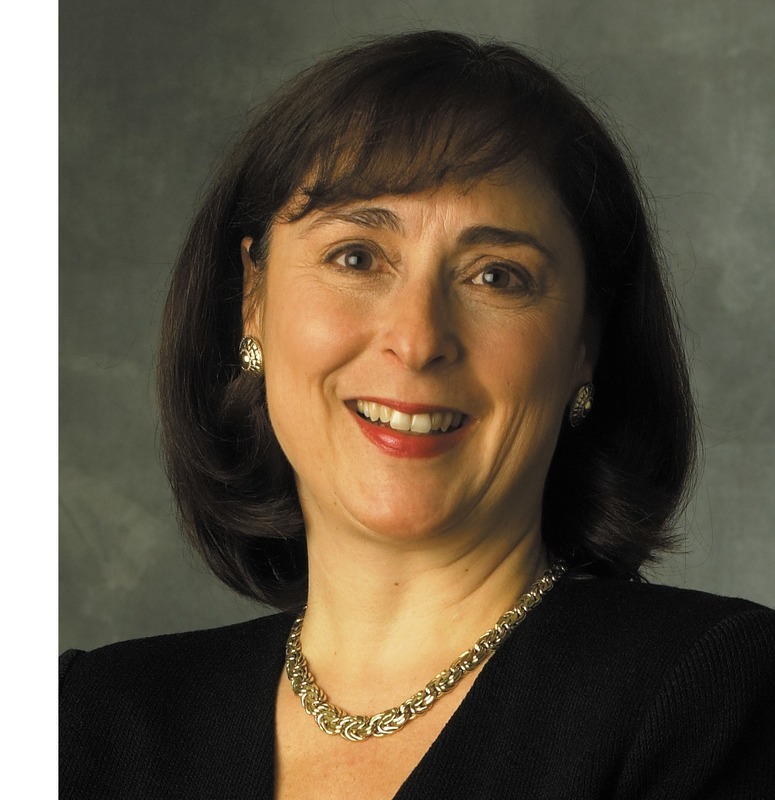 Padnos is a member of the Board of Advisers for Carnegie Mellon’s Tepper School of Business where she received her MBA/MSIA and a graduate of the University of Michigan, where she was a recent commencement speaker. Cindy Padnos: Overall, as a firm, we invest in enterprise cloud and mobile spaces. We have been focused on B2B/enterprise since the inception of the firm, and for me it was my focus even prior to that. We don't do hardware, we don't do consumer Internet, we don't do lots of other things. We’re focused on sectors we know and where we can add value well beyond the capital we can offer. There are several things that interest me about the category. One fundamental is that there is an almost continuous flow of interesting opportunities as entrepreneurs find new ways to reinvent the way we work. Not just the way you and I get our jobs done, but the opportunity set has also extended beyond traditional large companies and white collar users to small and medium sized businesses and blue collar workers and to regions of world that you couldn’t access before. Market opportunity has expanded dramatically as a result of cloud computing. The public cloud platforms allow entrepreneurs to build products that democratize the delivery of business solutions to a much broader set of customers. New technologies have also enabled business models to evolve in parallel. Things like subscription revenue models, and freemium pricing, meaning starting out free and moving to a paid service for advanced features, enable companies to expand their target markets by making products and services more affordable and easier to try. New selling tools that leverage the cloud also allow products to be sold more effectively by inside sales teams that are much more capital efficient than “feet on the street” field sales representatives. All of these changes represent opportunities to continuously re-imagine the enterprise, and even expand the definition of enterprise. As a result, smaller businesses can compete head-on with larger ones. That's pretty exciting. It's not really the same world it was 10 or 15 years ago, when as an example, only Walmart-sized companies could afford a million dollar plus product like DemandTec to do sophisticated pricing optimization. Today, a wide array of companies offer similar capabilities to mid-market businesses as well. David once again has the potential to slay Goliath. Business buyers also demand choice. That is another element I like about investing in Enterprise. Unlike in the consumer Internet space, enterprise products do not typically represent a winner take all scenario. For example, when I was VP of marketing at Scopus Technology, an early CRM company, in the same year that Scopus had its IPO, three competitors also went public: Vantive, Clarify and Aurum. They all delivered great outcomes for their founders, employees and investors. If you invest in large, fast growing sectors of the enterprise space there will be multiple winners. On the consumer side, with a company like Facebook, it's a winner take all kind of outcome. Many reasonably good “also ran” competitors were simply left in the dust. CP: At Illuminate we've made 15 investments in the enterprise cloud and mobile category, some as recently as a few weeks ago, that have not been announced yet, and some in my career dating back to 9 or 10 years ago. One of our earliest investments is Xactly Corporation. They were one of the first true SaaS application software companies. When they first built their product the public cloud literally wasn't yet robust enough to support an enterprise class application. They had to buy their own servers and had to host them at Rackspace. You couldn't just sign up on Amazon or some other platform back then. The company went public this June. Their original premise for Xactly still holds true. They wanted to deliver a solution in the cloud that would compete with more traditional, costly and monolithic enterprise software companies by delivering a service that could be paid for as an annual subscription and that could scale to address the needs of both large and mid-size businesses. They are now the market leader in sales performance management, which means they manage all incentive compensation for a wide array of companies that want to leverage variable commission plans to optimize sales performance. By building in the cloud, they were able to offer a solution that was both flexible and robust enough to address a wide range of business user needs, and deliver it very cost-effectively. I originally invested in Xactly in 2006 and have been a board member ever since. I led that financing round when I was with another firm, but because I was anticipating launching Illuminate I directly invested as well. Xactly became the first investment for Illuminate's first fund, so their recent IPO has special meaning to us. Other early investments include companies like BrightEdge, a search engine and content optimization platform that has grown from zero to tens of millions in revenue and over 1,000 customers since our original investment. We also led the Seed financing of Yozio, a mobile growth platform that recently closed a $7 million Series A financing. What’s particularly exciting about most of the companies we invest in is how the massive amount of aggregated and unattributed data they generate can be leveraged. That data becomes a powerful tool for analysis leading to valuable insights, benchmarks, and proactive recommendations. Half of our portfolio is outside the Bay Area, including CafeX and ChannelEyes in New York and Allocadia and Influitive in Canada. Allocadia is the model of a “Lean Startup." The company had raised less than $1 million to reach over $1 million in recurring revenue prior to the institutional round that we participated in. Their product is a marketing performance management platform that aggregates information from the wide array of marketing tools that companies use today to do better planning and budgeting in support of ROI-based resource allocation. This is a huge pain point for the new generation of data-driven Chief Marketing Officers. Allocadia helps companies leverage marketing spend to meet business outcomes. They have relationships with companies like Marketo and IBM that aid them in closing large customers and also have many mid-size corporations as customers, including Xactly. We see quite a bit of that in our portfolio, where the products of one portfolio companies are used by many of the other companies that we have invested in. Hoopla is a great example of that. Hoopla delivers an employee motivation and engagement platform, with a particular emphasis on sales people. They leverage big screen monitors and mobile devices to help share content that helps companies engage, encourage and reward their teams. Users don’t just like their product, they love it. Hoopla’s word-of-mouth sales volume is incredible, including more than half of our own portfolio companies. VN: What do you look for in a company that you put money in? What are the most important qualities? CP: To us it's all about the team. If you don't have that then you don't really have anything, so we start there. Team elements can include the founders’ credibility within the industry their addressing, ability to attract talent, and general “scrappiness." We also try to identify companies that are taking advantage of multiple growth trends in parallel. We seek companies that are taking innovative approaches to leveraging technology, but we also care about the business model they choose, and the customer segments they serve. Is a company taking advantage of more than one thing that has a growing opportunity in the marketplace? Mid-sized businesses represent five times as many opportunities as large enterprises, and they are growing at twice the pace. That is an example of an interesting trend that some startups are taking advantage of, making it additive to anything else they do. We also like to see innovative business models. Do they have some unfair advantage, channel partner or other relationships? Are they building something truly differentiated, and can they sustain it? In the end, though, it comes back to the team. We are attracted to people who are passionate about their customer, not just their product. If a team comes to us with really cool tech already mostly built and that they have spent little, if any, time with likely users, that is less interesting to us than a company that may still be at the early stages of building a product, but is validating it across a many different customers to validate what they really need. We are more interested in founders that are building something because they know there's a clear need. CP: I went to the University of Michigan for undergrad and then Carnegie Mellon’s Tepper School for my MBA/MSIA. Carnegie Mellon helped significantly influence my interest in the tech sector. I began to explore technology through a variety of projects and internships there. They had a marketing game at Carnegie Mellon, a computer-based game that you would submit moves to, kind of like chess. Our class was broken down into teams structured like startups, and that was my first CEO gig! It was a long time before I had a chance to play that leadership role again, but it was a definite aspiration from then onward. The decision-making and strategic thinking skills I learned at CMU have helped me tremendously over the years. I've effectively had four different careers. I started out in the corporate world right out of grad school in AT&T’s management development program. Eventually, I went from one of the largest corporations in the world to the one of the smallest, by starting my own, and in between I worked in management consulting for a number of years and then in a variety of startups in the Bay Area. Everything I have done has been in the information technology category and focused on businesses, not consumers. During my consulting days I had fallen in love with the software sector, so when I decided to follow a more hands-on operational career path that was my natural choice. I held sales and marketing executive positions in several different software companies, including Scopus Technology before being recruited into my first CEO role at Acumen, a performance management software company that was acquired by one of its large partners a couple of years later. After that I decided I didn't have any excuses left and that it was time to launch my own venture-backed startup. I started Vivant, a super early SaaS services procurement platform company back in late 1998. Actually, that was before the word SaaS even existed. Back then we were called ASPs, or application service providers. A big part of the motivation that drove me toward where we invest today as a firm comes from that experience. Back then we had to do the same things as Xactly did; we had to buy our own servers and host them at Rackspace because the cloud couldn't support developers like us yet. It took millions of dollars to do that, and as a result, there was no opportunity to bootstrap or start out lean early on. Six years later, after merging Vivant with a public company here in the Bay Area, it is now part of Oracle, I was making a transition into venture capital and realized that everything had changed. The VCs were still writing $4 million to $10 million dollar initial checks into startups in 2004 to 2006, but the public cloud now existed and entrepreneurs actually required much less initial capital to get to a minimum viable product. For all but the deepest tech products, a first check, of $1 million to $3 million, was a sufficient first step. The Lean Startup movement was taking off. More entrepreneurs, and some investors like me, saw the value of preserving outcome optionality in the early days of a company. That new funding gap that suddenly emerged was a big part of the reason that we formed Illuminate. VN: What are your favorite things about being a VC? CP: I love the amazingly motivated, smart and dedicated entrepreneurs we get to work with. They are full of energy, ideas and passion for what they do. It is truly a privilege to get to work with them behind the scenes to help them achieve their dreams and goals. We benefit from that as well, of course. I love to learn, and I am learning something new every single day. It's like going back to school, but with no tests, just the joy of learning. I really enjoy the process of finding the right investments and teams to support. The reality is that VCs rarely, if ever, come up with a great business idea. It’s the entrepreneurs that do that. When we invest in a team we then have the opportunity to work side by side with them as they build something that is potentially very high impact, something that can create or disrupt a category all while creating great jobs and stimulating innovation. I think back to my days at Scopus, and the peers I had there that have since launched their own companies. I would bet that well over a hundred companies have been launched, either directly or through their investments in other companies by just that one startup crew of people. Octane, WebLogic, Red Aril, Vivant, GT Nexus, just to name just a few. It's pretty cool how that creates a virtuous circle, an ecosystem of entrepreneurship that continues to grow and flourish. Not everyone realizes that being a venture capitalist in a smaller and newer firm has many similarities to being an entrepreneur. You have to raise capital for each fund, develop a differentiated brand, establish credibility with all of your constituents, entrepreneurs, investors and co-investors, deal with audits and reporting to investors, and all the other elements of building and managing a successful business. There's a lot of hard work and unfortunately, not every company you invest in will be successful. That part is rough for everyone. It's not just a glamor job, but it is definitely the best one I can think of for me! VN: What is the size and construction of your current fund? CP: We have three funds under management. Our Spotlight Fund was a small proof-of concept fund that originally held 6 investments. Two of those have exited via acquisition: Red Aril was acquired by Hearst’s iCrossing business unit and WildPockets was acquired by Autodesk. CalmSea merged with Coupang to become one of the industry unicorns, Xactly went public recently and the rest, BrightEdge and CafeX Communications, are market leaders in their categories. We have invested in a dozen companies from our second $20 million fund at this point. Several of those companies like Hoopla, Influitive and Yozio have already gained substantial follow-on financings and are growing like weeds. We are still actively investing out of our second fund. CP: We put as low as a quarter of a million dollars and up to a million in an initial financing of a company. We also reserve quite significantly for follow-on financing rounds. I guess you would say that we are a focused investor with a fairly concentrated portfolio. In the enterprise space we believe it is super important to be able to continue to support a company over several rounds of financing, that may span half a dozen years or more, not just through their first round. Our total investment over time really depends on the company, but it will range from $1 million to $3 million. CP: We can be flexible depending on the stage of the company and structure of the round. We don't always lead; we will co-lead, and we always syndicate, generally with a small number of value-add investors, but no party rounds. We may also join a round led by another high quality investor. CP: We still have a few new investments to make from the current fund. CP: It depends on the stage of the company, but overall, more than half the fund is set aside for follow-on financing rounds. CP: We don’t invest exclusively in raw seed stage startups, but it is always the first institutional financing round for a company. Sometimes that means it is a small Series A when we invest in a company that is further along but initially bootstrapped, raised a some angel capital or is a spin-out from another business. Virtually all of our investments are priced rounds, not convertible notes. They are Seed or Series A, depending on the stage of the company. VN: How many startups do you invest in a given year? CP: We invest in 3to 5 new companies each year and generally 15 to 20 per portfolio. CP: Illuminate is growing and prospering as a firm. My partner in crime Ben Bayat is an engineer by background who has worked in both large companies and done a couple of his own startups. He has the chops to help with technical due diligence on many of our deals and brings a different and additive perspective from my own to the companies and sectors we look at. Ben also manages our intern program, we generally accept 3 to 5 graduate students into our program each school year. And he definitely helps balance out the average height of our firm! I should also mention our secret weapon: Illuminate’s business advisory council. We have over 40 world-class professionals around the tablem some of the most successful entrepreneurs, corporate executives and investors in the enterprise software category. They actively work with us and our portfolio founders to accelerate success throughout the investing lifecycle, from augmenting our deal flow and due diligence efforts at the front end, to helping introduce the right customers, partners and even acquirers on the back end. Two advisers are currently serving on Illuminate portfolio company boards and a quarter of the investments we’ve made came as direct referrals from this group. They are also terrifically helpful when we are evaluating a new sector. We do a lot of own research, which we share with them and gather feedback. We meet face to face with the council just three times a year, but also have lot of ad hoc, individual activity going on outside of the formal meetings. The council is an amazing resource to us, and most are investors in our fund, so they have skin the game. I feel really fortunate to be able to do what I do.